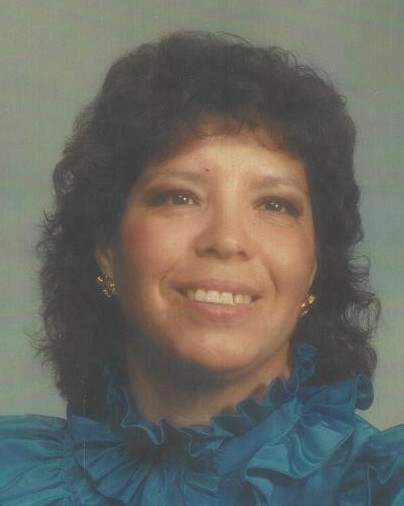 Jessie Irene Macias, 68, of Amarillo passed away peacefully in her sleep on November 30, 2018. A memorial celebration will be held at a later date with family and friends in Palo Duro Canyon. Arrangements are by Angel Funeral Home. She was born in Austin, Texas in 1950 and moved to Amarillo in 1970. Jessie retired in 2016 from the TDCJ and was a valuable employee at the Clements Unit in Amarillo. Her favorite pastimes were hiking, going to air shows, and going out to eat and movies with her friends. She also loved listening to music, dancing, and spending time with her pets, also referred to as her “kiddos”. She was preceded in death by her parents and sister, Jesse, Mary and Delores Clarabell, respectively. Jessie is survived by one child, Johnny Macias, Jr. and wife Lori Sharber-Macias of Tennessee; sisters, Helen Rivera, Anna Reza and husband Danny Gauna of Austin; and Rose Houth and husband Bob of San Antonio as well as many nieces and nephews; two grandsons, Matthew and Cory of Amarillo; and many extended family in Tennessee. Prayers and thanks to all who knew Jessie. We love you Mom. You will be in our hearts and memories, we will miss you greatly.